Early in the American Civil War, a medal for individual valor was proposed to General-in-Chief of the Army Winfield Scott. But Scott believed that medals "smacked of European affectation" and he killed the idea. Public Resolution 82, containing a provision for a Navy medal of valor, was signed into law by President Abraham Lincoln on December 21, 1861. The medal was "to be bestowed upon such petty officers, seamen, landsmen, and Marines as shall most distinguish themselves by their gallantry and other seamanlike qualities during the present war." A similar resolution was introduced on behalf of the Army. Signed into law July 12, 1862, the measure provided for awarding a medal of honor "to such noncommissioned officers and privates as shall most distinguish themselves by their gallantry in action, and other soldierlike qualities, during the present insurrection." 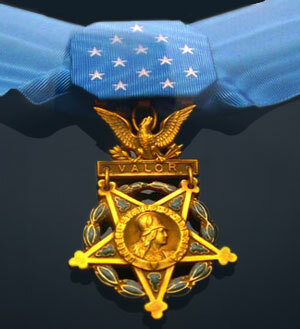 Although it was created during the American Civil War, Congress made the Medal of Honor a permanent decoration in 1863. Since the Medal's inception, more than 3,400 men and one woman have received the award for heroic actions in the nation's battles. The President, in the name of Congress, has awarded more than 3,400 Medals of Honor to our nation's bravest Soldiers, Sailors, Airmen, Marines, and Coast Guardsmen since the decoration's creation in 1861. For years, the citations highlighting these acts of bravery and heroism resided in dusty archives and only sporadically were printed. In 1973, the U.S. Senate ordered the citations compiled and printed as Committee on Veterans' Affairs, U.S. Senate, Medal of Honor Recipients: 1863-1973 (Washington, D.C.: Government Printing Office, 1973). This book was later updated and reprinted in 1979. The breakdown of these is a duplicate of that in the congressional compilation. Likewise, some minor misspelling and other errors are duplicated from the official government volume. These likely were the result of the original transcriptions. The following is an index of the full-text files by war. *Not included in "Complete List of American Civil War Medal of Honor Recipients"
Sources: United States Department of Defense; United States Department of Veterans Affairs; United States Army; Congressional Medal of Honor Society; The Congressional Medal of Honor, published by Sharp and Dunnigan Publications; America's Medal of Honor Recipients, Highland Publishers. Recommended Reading: Medal of Honor: Portraits of Valor Beyond the Call of Duty (Hardcover), by Peter Collier (Author), Nick Del Calzo (Photographer). Description: First published on Veteran’s Day 2003 to glowing reviews (“Powerful”—Seattle Post-Intelligencer), energetic cross-country events, and instant national bestseller status, Medal of Honor has now been revised, updated, and augmented into an even more important and newsworthy second edition. New features include. Continued below. Recommended Reading: Beyond Glory: Medal of Honor Heroes in Their Own Words. Description: This New York Times best-selling account of battlefield courage celebrates the larger-than-life sacrifices of those awarded the nation's highest honor for valor in combat. Exclusive interviews with these twenty-four men—firsthand accounts of battlefield sacrifice from the greatest generation to Vietnam, along with before-and-after stories—form the core of this classic work. Continued below.